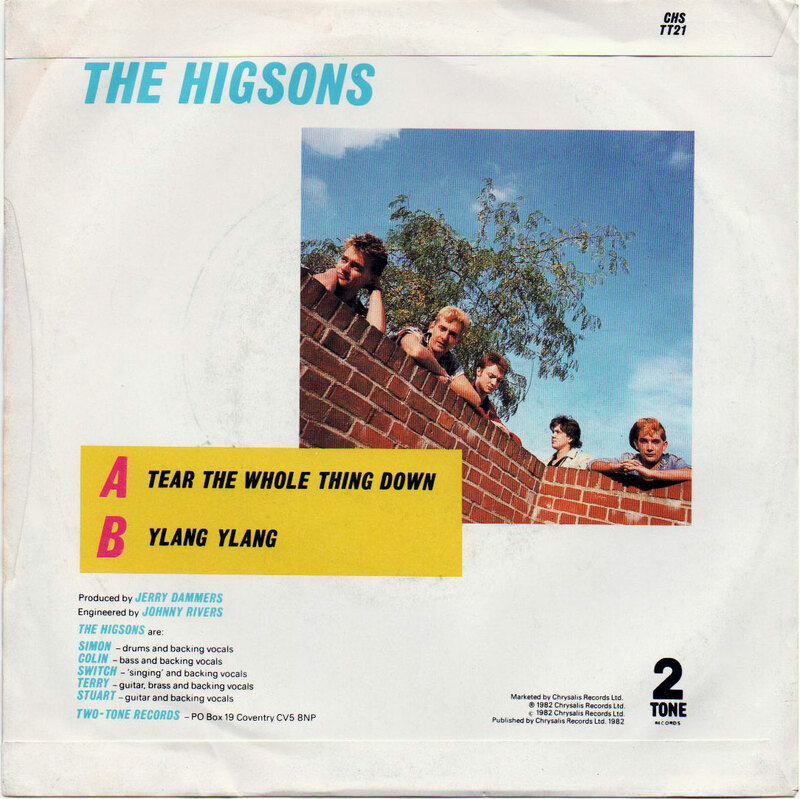 Continuing to sign bands who weren't still clutching copies of 'Specials', Norwich band The Higsons had previously released a trio of cult classics; 'I Don't Want To Live With Monkeys' (Romans In Britain HIG 2) in July 1981, 'Lost And Lonely' (WAAP 1) in December 1981 and 'Conspiracy' (WAAP 2) in April 1982. Prior to 2 Tone, drummer Simon Charleton & Guitarist Stewart McGeachin had met Dammers at a party in Bristol, agreeing to work together in the near future. 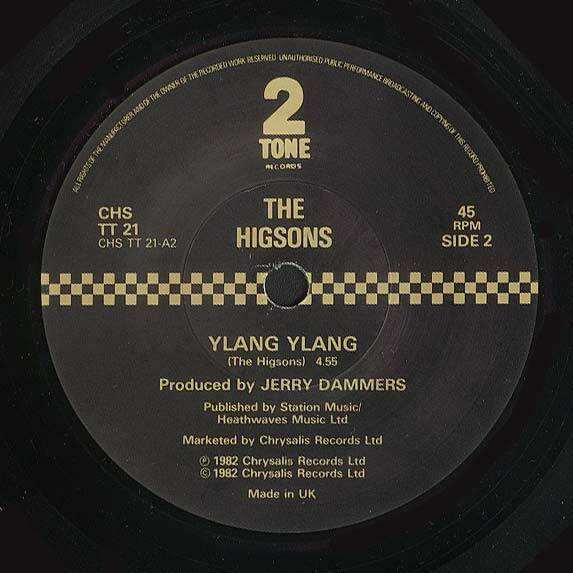 Originally it was hoped that Dammers would provide keyboards to 'Touchdown' the flip side of 'Conspiracy', but other commitments prevented this. However, by June, Dammers was free and agreed to produce a new song, 'Burn The Whole Thing Down (Before The Yanks Do)', with the band in Coventry. 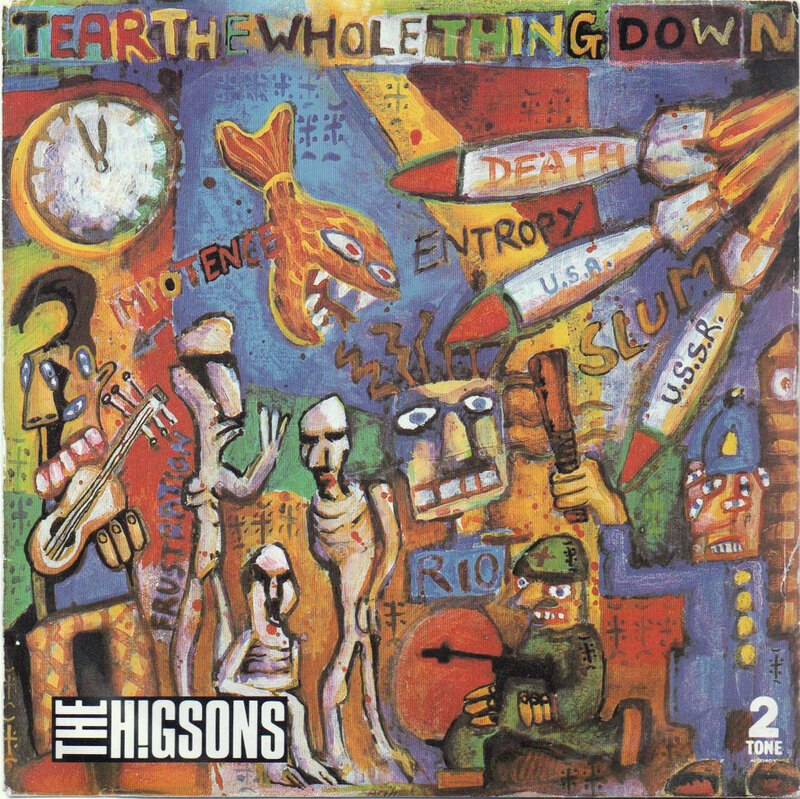 More melodic than usual, the song eventually surfaced with a modified title 'Tear The Whole Thing Down'. Dammer's enthusiasm ensured a deal with the label, and the single was released to coincide with a small UK tour. Following this, the recording of a debut album beckoned. Scans courtesy of Sid Stovold.